Looking for a Trusted Removals Company to Portugal from the UK to help you move house ? When moving to Portugal, you need an experienced european relocation company. The company needs to be experienced when it comes to international relocation and not just moving locally. This is a big move for you, and so you want your belongings in the right hands. You definitely don’t want to do all of that work yourself, and putting together a move like that requires qualified professionals that are used to handling such a job. Edwards European Moving are that company that can help you. When it comes to professional services for removals to Portugal, you are always going to get the best care and results when you work with Edwards European Moving. We take the time to carefully pack, load and then transport all of your items to you new home abroad. Hiring the best is always going to be well worth the investment and we look forward to making your transition a smooth and memorable one. whether you are moving to a major city like Lisbon or to a smaller town like Almada we can assist. In order to get a price that you can work with, think about asking for a Removal Quotation before the move. During this time, Edwards European can explain the whole moving process and all of the services that we offer so that we can both prepare for your move but also plan for the little things along the way. No matter what, you need to be sure that your removal to Portugal will meet your needs and that you fully understand what to expect during and after the moving process. 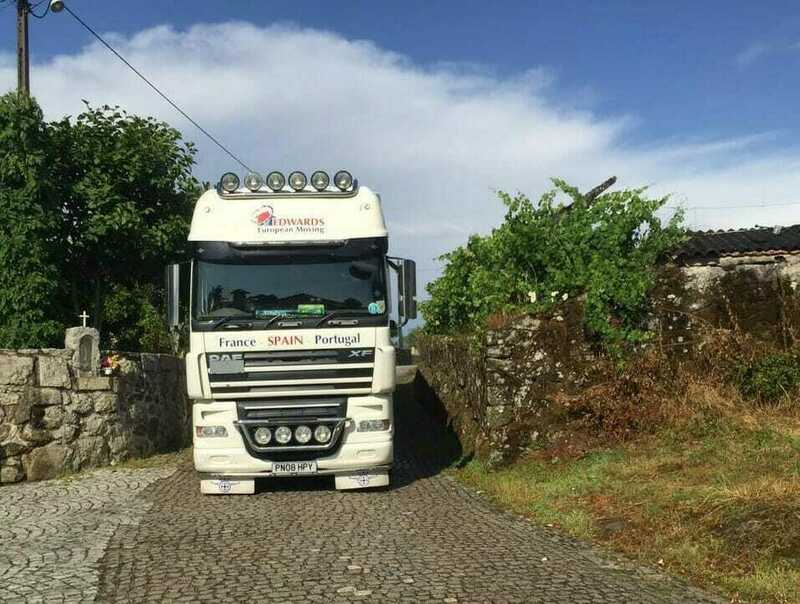 We offer a part load service to and from all Portuguese destinations, an ideal service for clients with smaller consignments or larger consignments with flexible delivery dates. This service is often the most cost-effective method for moving to Portugal as you share the space on our vehicle with other clients shipments. The running costs of the vehicle are then shared by all. All shipments are individually inventoried and all goods individually numbered ensuring all personal effects are delivered to the correct client’s property. This is a full door to door service with unpacking if required. Our dedicated service provides you with the sole use of one of our vehicles and allows you to choose your collection and delivery dates, this is also a full to the door direct service with unpacking if required. 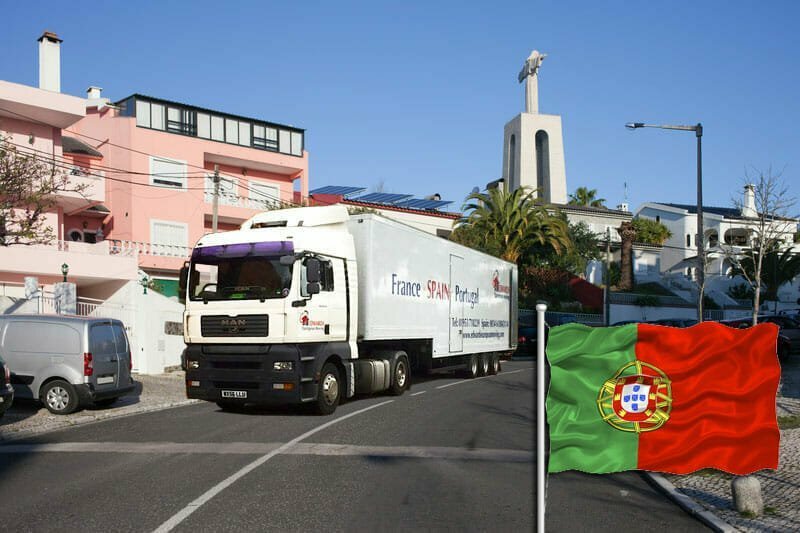 Delivery from the UK to Portugal can be as quick as one day depending on collection point in the UK and delivery point in Portugal and volume of Furniture. The only restrictions on this service are public holidays in Europe where LGV vehicles are often restricted between certain hours and tachograph hours which limits drivers hours for safety. Our European department will provide you with a full relocation plan including expected transit times upon quotation. If you are going to need somewhere to store your belongings before, during or even after the relocation, Edwards European moving will be able to help. All you have to do is ask about the available storage facilities to give you a safe and secure location to keep your items until you are able to retrieve them. No matter what, this and other services offered including comprehensive insurance are geared at making the customers life and moving process a whole lot easier. Making the decision to move to Portugal and make it your new forever home is a big choice to make. However, following through on your decision and enjoying every minute of it; now that is an even bigger undertaking! One of the best ways to ensure that you feel comfortable in your new home is to know as much as you can about it. How many people live in Portugal? Which airlines fly into the country? What currency do they use? What language do they speak? Please find below some useful facts and figures on Portugal! The population of Portugal according to the recent figures for 2018 is 10,291,196, this is a yearly change of -0.37% in comparison to the previous year of 2017 where the population was 10,329,506. While the Portuguese language is the main language of the country to which you are moving it is spoked in a number of dialects. The Southern and Central dialects include Lisbon, the capital of Portugal. While some dialects have their own unique characteristics, such as the dialects of the Atlantic archipelagos of the Azores and Madeira, they are still classified under the broader category of southern dialects. The Northern dialects include the one spoken in Porto, this being the second biggest city in the country. You may come across other languages in Portugal, Barranquenho which is spoken in the town of Barrancos, Minderico (although to be honest this language is nearly extinct now), Mirandese, a dialect which is spoken in Miranda do Douro and Portuguese Sign Language. If you are not yet fluent in Portuguese (or if you know little or none of the language) you will likely be able to avail of language classes in your area which will allow you to learn everyday Portuguese so that you Travelling tunicate with locals using basic phrases. Portugal is a country which is very well serviced by air travel. Airlines include British Airways, TAP Air Portugal, Lufthansa, as well as many more. This makes Portugal an ideal choice for people who may need to travel frequently between Portugal and the UK. 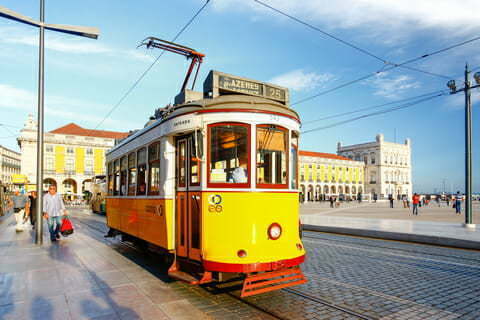 Portugal delivers very well on an efficient and easy to use public transport system. The metro system operates in Lisbon and Porto and provides a cheap way to travel. Portugal also has a large network of trains which connect all major cities in the country. For more local travel, the bus and tram systems will prove to be your new best friends.